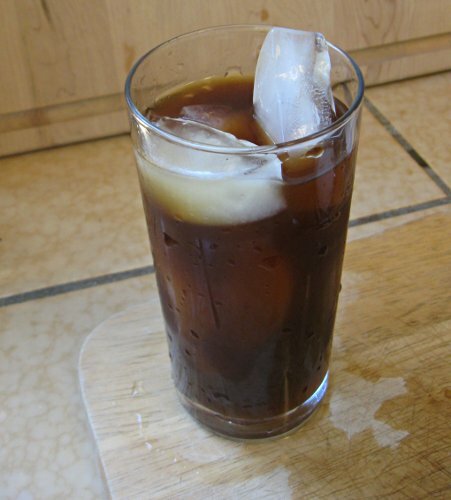 Following up on my recipe for cold-brewed iced tea yesterday, here's a great recipe for cold-brewed iced coffee. 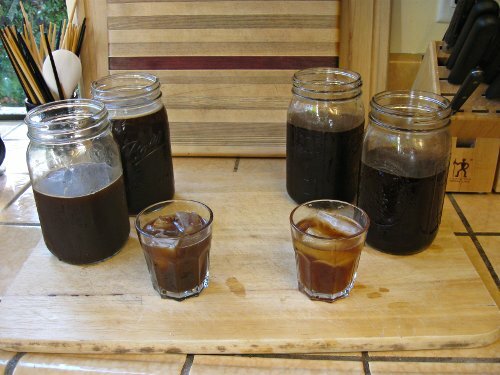 The advantage of cold-brewing iced coffee is that it will have a much better, smoother taste than iced coffee that is brewed hot and then cooled. The ratio is 4 parts cold water to 1 part coffee. 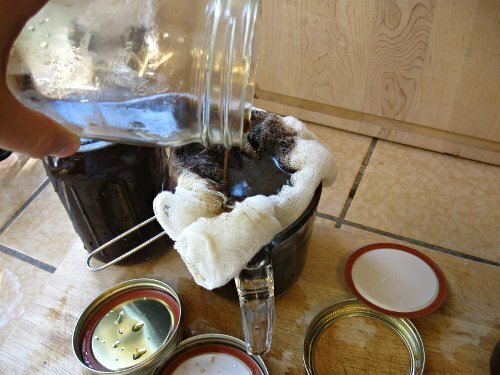 For example, 2 cups of water to 1/2 cup of coffee. The coffee should be a coarse grind.